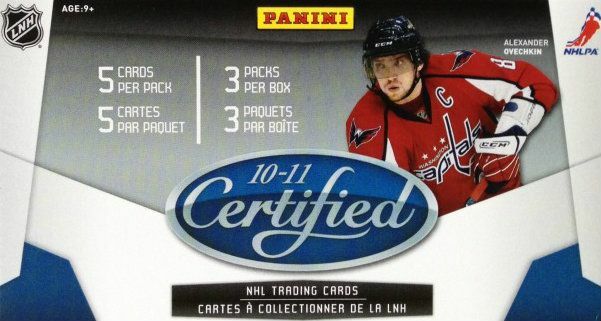 If you want to get one of the best values in terms of older retail products, you have to strongly consider 10/11 Panini Certified. Each of these blasters contains only three packs, but you're pretty much guaranteed a hit when you buy one. This is personally one of my favorite retail boxes to break on Retail Review - it's not wonder I've broken so many through the years! 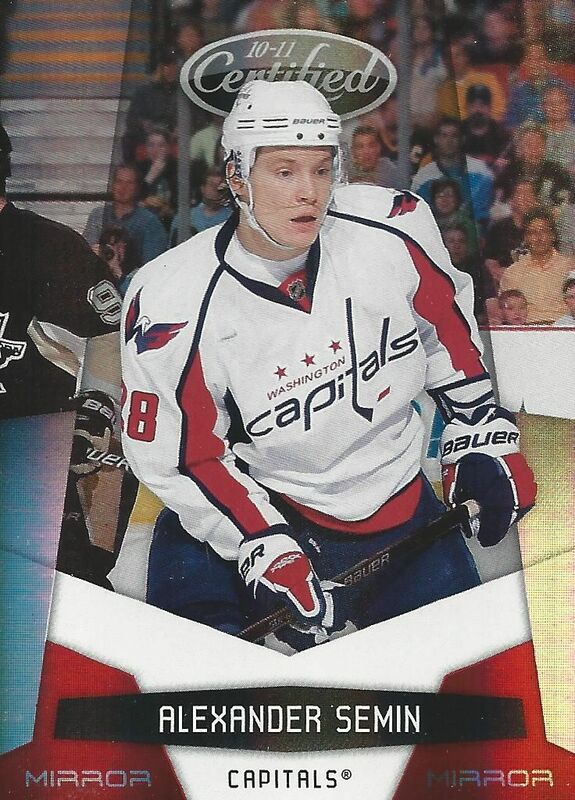 There was no better time for me than 2010 for hockey cards. That year was especially magical and hockey cards made everything for me so exciting! Pretty much every last cent I had went into collecting. I'm sure you know how that goes! So I have very fond memories of that year and this product. I primarily bought hobby boxes at the time, but getting these retail blasters now definitely brings me back. This blaster was solid through and through for me. It delivered a hit as well as a Mirror Red serial numbered card. The cards look amazing and the break was enjoyable. What was especially neat for me personally with this box were the number of Sharks I was pulling out of it. Usually I'll get one or two, but with just these three packs I was able to pull out three cards of my favorite team. And all three cards of fan favorites as well. If I'm gonna get base cards, I'm going to want Sharks! Of the three Sharks I got, my favorite has to be Danny Boyle. This past week he actually came back to San Jose and dropped the opening puck. The fans at the arena gave him a huge ovation. 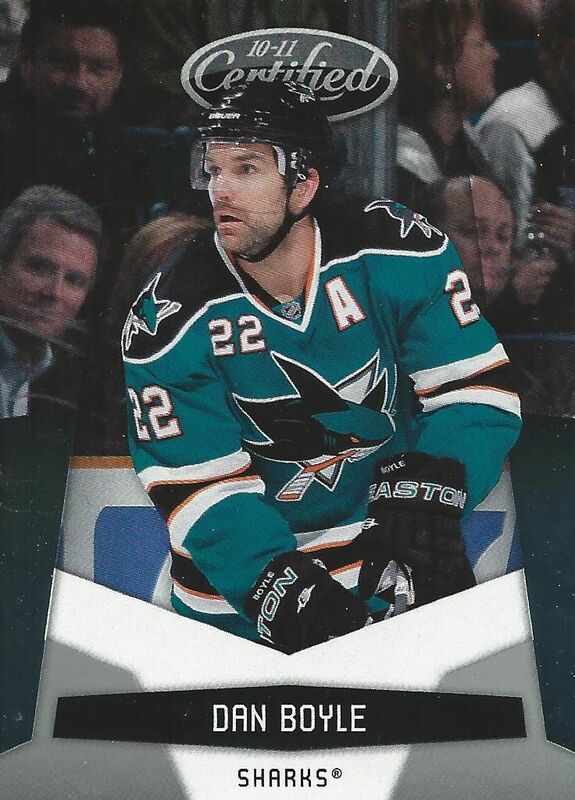 Boyle is my all-time favorite Sharks D-man. Semin has some very strong NHL seasons under his belt, so getting this left winger's Mirror Red card was a decent pull for me. This particular card is numbered to 113/250. I really love it when you can get numbered cards out of retail products. Duchene is a very strong player and getting a hit of his out of the blaster is really cool. I wish it was more than just a tiny jersey swatch, but I can't complain too much. This card is also serial numbered. 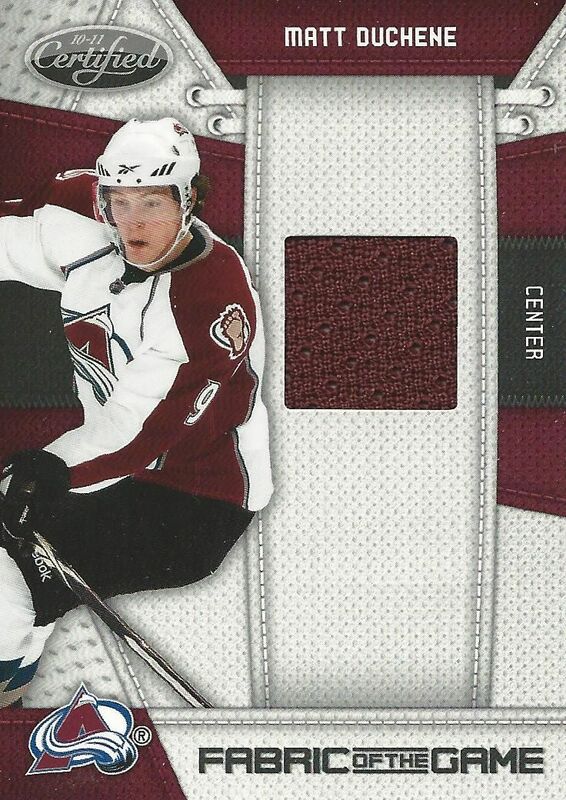 This Matt Duchene jersey hit is numbered 136/250. I came out with some good cards out of this break. My base cards were excellent, my serial numbered parallel was very good, and my hit was of a great player. You can see exactly why I like getting Certified. I definitely recommend the product, and as of now it is still relatively easy to find for cheap online. Get yourself a blaster before they dry up!